Christmas in London isn’t for those who diet. Two of my favourite Crimbo meals of 2015 are the living proof of that. 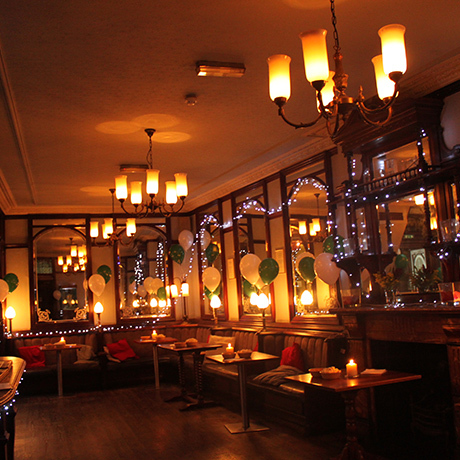 Here’s what went down at the BB Bakery Covent Garden and at the Punch Tavern in Fleet Street. 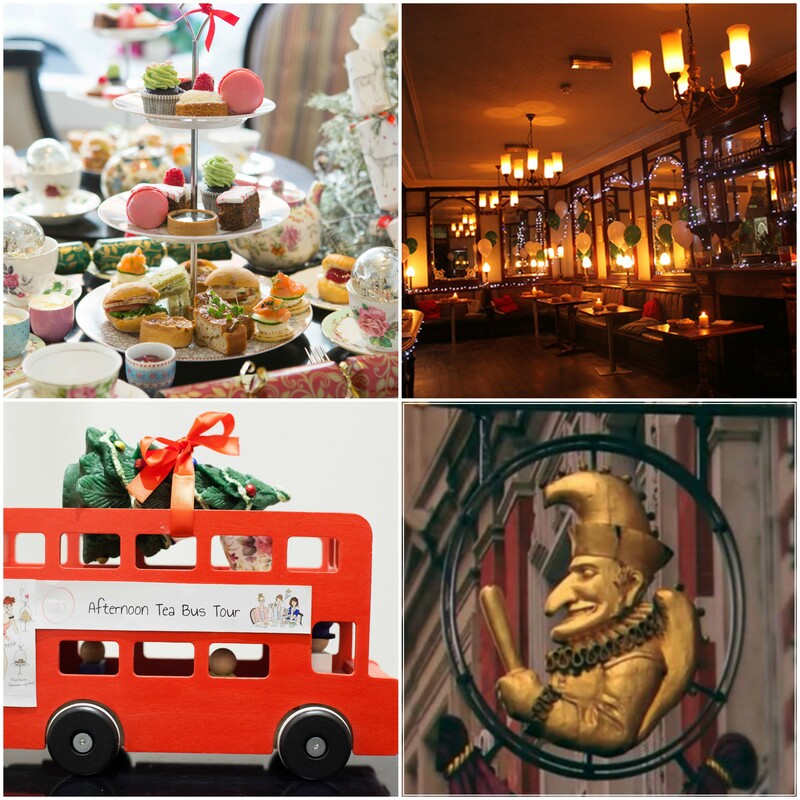 The organisers of the best afternoon tea experience in town, the BB Bakery, topped their incredible bus tour with a Christmas take on this exquisitely British tradition. Pop to Covent Garden’s super cute BB Bakery tea room to enjoy a selection of sweet and savoury treats you won’t find anywhere else. Cucumber sandwiches on mint bread with cream cheese, turkey sandwiches made with a tiny sun-dried tomato bun, warm quiche, but also a Christmas tree cupcake, a chocolate and caramel meringue, an “Il Etait une fois Noël“ macaron, a Bûche de Noël Christmas pudding, just-out-of-the-oven scones with clotted cream and jam and my favourite, a coconut cream shortbread with berries. Take all of this, add porcelain teapots and cups, traditional tea and an incredibly friendly staff and you’ll get a flawless, unforgettable Christmas sweet treat. My Christmas in London wouldn’t have been complete without a proper pub dinner. Inevitably, I had to pick The Punch Tavern. Initially, The Punch Tavern was called The Crown and Sugar Loaf. But when in the 1840s Punch Magazine’s staff began to meet here regularly, the proprietor changed its name to The Punch Tavern. Although there has been a pub on the tavern’s site since the 17th century, the place was also re-fitted as a Gin Palace by the famously big spending Baker Brothers in 1893-97. A gin palace is an English name originally for a lavish bar selling gin, later transferred by association to late Victorian pubs designed in a similar style. The original gin palace architecture remains today, starting with the glazed tiled entrance and continuing inside with a barrel vaulted skylight, tall etched mirrors, banquet seating, a marble bar, dark oak panelling, an ornate fireplace and a series of original Punch & Judy themed paintings all painted in 1897, both in the entrance and in the back room where the Christmas dinner takes place. So how about the food? The Punch Tavern offers plenty of choice during the holiday: three different Christmas menus, a Christmas canapé selection and a Christmas day feast. We went for the Christmas menu – option two, choosing a pumpkin and chestnut soup with cheese croutons as a starter, a traditional roast bronze Norfolk turkey with stuffing, roast potatoes and trimmings and an incredible white chocolate brownie with custard for dessert. All of this costs only £24.50 and can be washed down with hot gin or a great craft lager, the London brewed Revision. These Christmas dinners were my real gift this year. Turns out Santa thinks I’m worth it!